RetroSound®'s Long Beach is the most technologically-advanced radio ever made for your classic 1967-68 Pontiac Firebird. The Long Beach is SiriusXM-Ready™ and connects to the SiriusXM® SXV300 Connect Vehicle Tuner (sold separately, subscription required). The SXV300 plugs directly into the Long Beach without the need for special adapters or cables. The compact size installs easily and discreetly behind the dash for a fully integrated look. 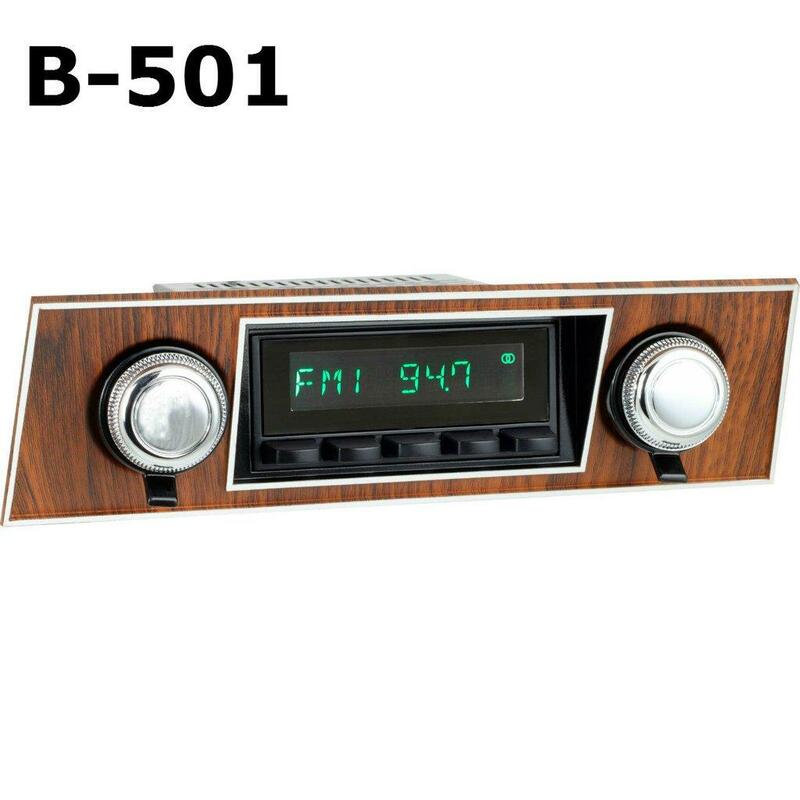 Long Beach is the only Made-For-iPod®/iPhone® radio for your vintage 1967-68 Pontiac Firebird, and also features built-in Bluetooth® connectivity for hands-free phone calls and wireless audio streaming. Long Beach features a 32,000 color display to customize your radio to your vehicle's interior. Two USB ports for iPod®/iPhone® plus two standard auxiliary inputs are included. Long Beach has a built-in 25 watts x 4 channel power RMS MOSFET amplifier as well as front and rear RCA pre-outs, plus subwoofer output, to add external amplifiers. It mounts seamlessly into your dash thanks to RetroSound®'s patented InfiniMount adjustable bracket system.